The main part of the Contractors All Risks insurance is the Contract Works section which provides cover for the property being worked on (e.g. new house, etc.). But it’s important to be aware of what’s not covered by a contractors all risk policy. 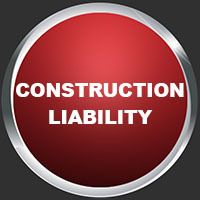 Are sub-contractors covered by a Contractor’s All Risks Policy? This depends on the requirements of the Contract. Not all Contracts will require the Main Contractor to name sub-contractors as Insureds in their Contract Works policy. This in some cases they they are not covered by a contractors all risk policy. 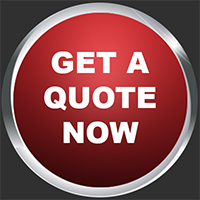 Some sub-contract agreements require the sub-contractor to take out their own Contract Works Insurance and to name the Main Contractor and Principal as an Insured. Typical contract trades for Contractors All Risks insurance cover would be general building contractors, air conditioning/heating engineers, aluminum door installers, electricians, shopfitters, bricklayers, carpenters/joiners, plumbers, plastering/partitioning/dry walling and floor/wall tiling contractors. The Contract Works policy should follow the requirements of the Contract so it’s essential to understand the Contract properly to ensure that it mirrors the insurance policy correctly. Contractors All Risk policy – Should You Put Your Name On It? Dirk Gouws (Engineering Insurance expet, AC&E Engineering Underwriting Managers) explains the meaning of having your name on a Contractors All Risk policy. Plant Hire – Have you read the Contract? Have you read your plant hire contract? You should get evidence of the plant hire contract when you hire in a concrete pump truck or any other item of plant. Read the history >> Construction of the tallest building in South Africa, the Carlton Centre. Built in 1973 and designed by architects Skidmore & Owens.